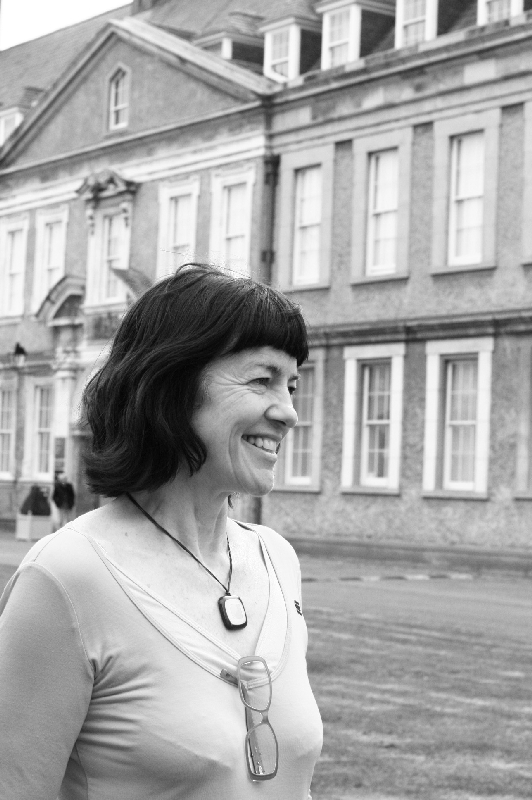 Cherry Smyth, poet, curator and art writer, is one of the collaborators in Jaki Irvine’s new work If the Ground Should Open…, a major new commission for IMMA presented on the occasion of the centenary of the historic Easter uprisings of 1916. 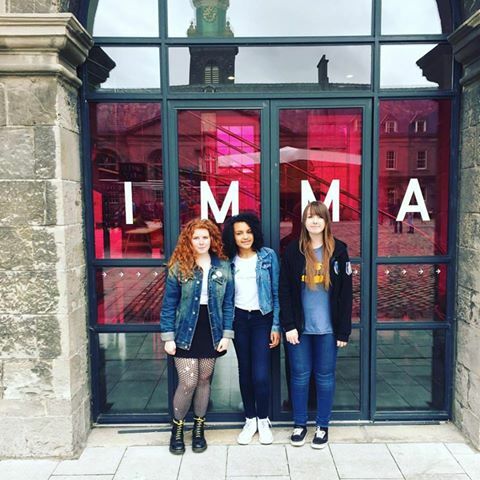 In this blog Smyth discusses her response to Irvine’s work and presents her poem Foreign Body which is performed within the first and eponymous track of Irvine’s new work, currently at IMMA. A one-off live performance of If the Ground Should Open…, in its entirety, takes place on Tuesday 13 December at 7pm in the atmospheric surrounds of the Great Hall at IMMA, where the footage for the original sound and video work was developed. Cherry Smyth will participate in this live performance alongside the other project performers which include Louise Phelan and Cats Irvine (vocals) ; Sarah Grimes (drums); Jane Hughes (cello); Izumi Kimura (piano); Hilary Knox (bagpipes); Liz McClaren (violin) and Aura Stone (double bass).. Book Tickets €8 euro including post performance reception. When Jaki Irvine asked me to respond to her book Days of Surrender (Copy Press, London, 2015), two things hooked me: the notion of bystanding, inspired by those who claimed to be ‘innocent bystanders’ in Dublin in 1916 and the name Elizabeth O’Farrell, which kept ringing and echoing back as Mairéad Farrell. Who draws the line of innocence and who chooses to cross it? I like to think I could have been Elizabeth O’Farrell, risking gunfire in the streets, sacrificing safety and I shudder to think I could have been Mairéad Farrell, an active member of the IRA, jailed for ten years for bombing a hotel and then assassinated by the SAS. Where does the choice lie? And how does history choose its heroines? I had been haunted by Mairéad Farrell’s death since 1988 and knew I could only understand her lack of choice if some part of me became her through a poem. I wrote about this process more fully in an essay entitled Bystander. I am interested in how art and poetry can build a space that can hold everything: the collapsed and derided financial system, the failed and deluded electoral system and the ongoing, troubled and troubling project of a united and independent Ireland. Jaki Irvine’s If the Ground Should Open… creates this kind of space, a space we didn’t know how much we needed until it appeared, a space that has the audacity to put anomalous things together and make a moral resonance. If the Ground Should Open… presents a big, bleak space, with a mournful coaxing of sound and women’s voices. The traditional white space around a poem, Irvine juices with music, colours with sound that lifts my poem, Foreign Body, into a new auditory landscape. This allows others to inhabit the world of the poem in a much fuller and more powerful way. It is a world of deep (and deepening) frustration with how women’s power and wisdom are dulled, ditched or destroyed by patriarchal culture. ‘The mouth is engineered by gender’ writes Vahni Capildeo in her striking new collection Measures of Expatriation (Carcanet, 2016) and Irvine captures this wonderfully in the phone excerpt of a corrupt, male banker cackling with glee set against visceral female keening. I write poetry to face the ugliness of contradictions, of moral ambiguity, to stay looking when others have turned away, to inhabit the room they want to evict us from. Poetry can do what nothing else wants to: call to account, act as a witness. It relieves the passivity of trauma; it can transform and heal to write what is in front of you. You are no longer helpless, no longer a bystander. The vision in your head is outside of you and others can enter it and be held and changed there. In 1988, a girl went to Spain. An Irish girl. It was March. to those who knew her. Clear-eyed, pale. a white Ford Fiesta. A friend gave her a gift. parked in a multi-storey carpark. The friend’s name was Libya. The girl was 13 in 1970. Some say it was the platform boots. Others that it was boots on the ground. run across her own street. Boots on the ground. New platform boots. Some say it was the CS gas. She couldn’t see across her street. The street’s name was the Fall’s Road. their gifts, to move their treasure. put on a black skirt, a white shirt, a black tie. with bread and milk to break it. is ‘propenso’. It was broad daylight, with two friends. shooting when they were prone. The Special Air Service does not deliver air. spoke hunger to the world’s airwaves. the execution lawful. Bare-headed in the spring sun. under a false name that the border control already knew. 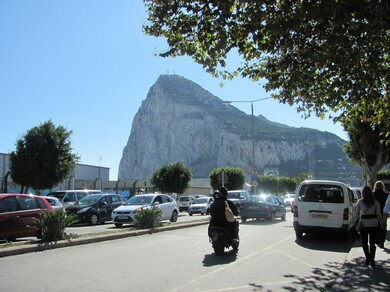 A foreign body on a Gibraltar avenue. Cherry Smyth is a Northern Irish poet and art writer, living in London. Her first two collections were published by Lagan Press: When the Lights Go Up, 2001 and One Wanted Thing, 2006. Her third collection Test, Orange, appeared with Pindrop Press, 2012. Her debut novel, Hold Still, Holland Park Press came out in 2015. She writes regularly about art for Art Monthly and has written catalogue essays for Elizabeth Magill, Siobhan Hapaska, Brigit McLeer and Orla Barry, among others. The hallmarks of her work are ‘precision, linguistic inventiveness and joy’, The Irish Times. If the Ground Should Open… by Jaki Irvine continues at IMMA in the Courtyard Galleries until 15 January 2017. Foreign Bodies is one of eleven tracks which make up the work. Admission to the exhibition is free. A one-off live performance of the work takes place on Tuesday 13 December at 7pm,. Tickets €8, which includes booking fee and beverages after the performance. Book here. Watch Jaki Irvine talk about her work in this video introduction to her exhibition.